But for many other games, your decisions can make the difference between a big win and a crushing defeat. Knowing when to hit and stand is a critical skill to master if you want to play blackjack, and you’ll need to have a strategy in mind before you sit down at a video poker machine. Craps, Pai Gow Poker, and Caribbean Stud are all examples of games where having a handle on proper tactics can definitely give you a leg up. If all of that seems overwhelming to you, don’t worry: we can provide you with plenty of help. We have all the tips that you’ll need to approach even the most complex casino games with confidence. If a game requires a strategy, we’ll have you covered, and we even have tips for games that are almost entirely based on luck. Every game in the casino demands a unique approach, and even the simplest games may have a few quirks that aren’t apparent when you first start playing. That’s why we’ve created the tips section: to give you all of the tricks and tactics you’ll need to get the upper hand against the house whenever possible. Blackjack: Many would consider this to be the ultimate strategy table game, and it is easy to understand why. Learning the basic strategy – which means knowing what the correct mathematical play is in every conceivable situation – can make the difference between this being one of the best games in the casino for players, or just another average option. This strategy changes depending on the exact rules being used; thankfully, you can use handy charts to see what the best players are, so you won’t have to memorize everything unless you want to. Video Poker: These machines are often confused with slots, but there is a very big difference between the two types of games. Video poker is all about strategy, as players must know which cards to hold and which to discard in order to get the biggest return from each machine. Once again, you can use charts to help you make the best decisions; however, it’s also very important to make sure that you’re playing on the best pay tables possible if you want to hold your own against the house. Slots: Why would you need tips in order to play a game in which you simply pull a lever and hope for the best? As it turns out, while there may not be “strategy” in slot machines, there is plenty of advice we can give you when it comes to picking the right machines and making sure you get the most out of every coin you spend on these games. Roulette: Once again, this is entirely a game of luck, so it might seem strange to talk about giving advice on how to play it. 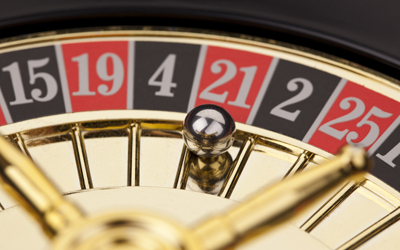 But there are a few things about roulette that are worth knowing. The exact rules being used can change the odds dramatically, and can even make it so that some bets are much better for players than others. Even if that doesn’t interest you, we can help you pick bets that will provide the style of play you’ll most enjoy. Other Table Games: Confused by all of the different wagers available on the craps table? Not sure if baccarat is quite as simple as looks? Want to know what’s up with the newer proprietary tables like Three Card Poker, Let It Ride, and Pai Gow Poker? Whether it’s just a few simple pointers or a complex guide, we’ll have you covered no matter what game you want to learn. Budget Appropriately: Whether you think you’ll become a professional gambler, or you’re in for a few quid just to have a good time, it’s important to make sure that you handle your bankroll in a manner that suits your needs. That means that if you want it to last for a long time, you cannot spend too much of it on a single bet. If you’ve only deposited £50 on a site, and that’s all you ever want to spend, you may not want to put more than a pound on the table (or in the slot machine) at any given time; anything more, and one small round of bad luck could end your fun prematurely. Watch for Special Opportunities: Sometimes, you’ll be able to take advantage of an unusual circumstance and get a better deal than normal from your casino. Perhaps there will be reduced commission on baccarat, a larger-than-usual progressive jackpot on a slot machine, or a video poker game with a pay table that has a player edge. Online, this might also mean an exceptionally good bonus or promotional offer that is very profitable for you. If your goal is to win as much as possible, then you’ll want to keep an eye out for these and other opportunities and take advantage of them when they become available. Have Fun: This may sound far too simple, but we think that players often forget this: gambling should be about entertainment and enjoyment first and foremost. If you’re not having a good time, it’s really not worth playing – especially since the house will usually win in the long run. That means that you shouldn’t get too obsessed about which games are “best” for you; if you enjoy a game that everyone else says isn’t a great option, go with your gut and play what makes you happy.